In the past 20 years, the primaryly forested and open prairie area of Fort Whyte has experienced rapid residential and commercial growth.Within all this urban sprawl comes a mix of casual, family and fine dining restaurants, big, strip malls, factory outlets, one of Canada’s largest IKEA stores, and a newly-renovated movie theatre that features entrees and alcoholic beverages to consume while watching the newest flick on the big screen. The main intersection around Kenaston Boulevard and McGillivray Boulevard is a beehive of activity, while just minutes away, FortWhyte Alive offers 640-acres of urban oasis. Replete with lakes, woods, expansive hiking trails, and an organic farm whose produce is used at the onsite Buffalo Stone Café, , Fort Whyte Alive also boasts North America’s largest herd of urban bison. 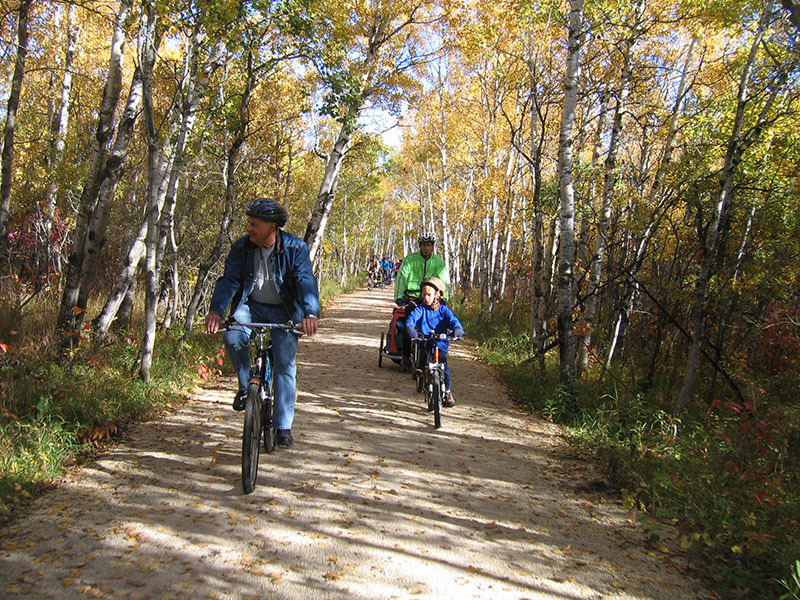 Year-round outdoor activities are offered here, such as fishing, canoeing, showshoeing, and cross-country skiing. There are plenty of ways to entertain the entire family at Great Big Adventure, a 3,000 square foot play structure with seven 20-foot slides inside more than 12,000 square feet of interior play space. For more indoor family fun, check out Sky Zone Indoor Trampoline Park or the escape rooms at Enigma Escapes. For dining, look no further than local gourmet burger joint Nuburger, whose Kenaston location offers a delicious variety of burger toppings, from fried eggs to housemade potato chips.